Tanssiva Muumilaakso - Dancing Moominvalley: What is Dancing Moominvalley? 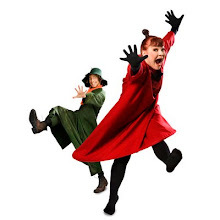 Dancing Moominvalley is an award winning contemporary dance production which has been touring both in Finland and internationally from 2010. Based on Tove Janssons book "The Tales from the Moominvalley" (1962), Dancing Moominvalley opens the well known themes of her books: invisibility, otherness and difference. The basis of the visual world of Dancing Moominvalley are the original illustrations of Tove Jansson in the collection of The Moominvalley of the Tampere Art Museum. The world of the illustrations and the tales of Jansson are now interpreted on stage by the means of dance theatre. The piece is choreographed by Dance Theatre MD’s choreographer Samuli Roininen and the music is composed by Heikki Mäenpää. Dance, music and visual elements such as projections intertwine to interpret the holistic and fascinating world created in Jansson’s tales. Visually spectacular, fully composed contemporary dance production for the whole family has a new approach to the moomins but the themes are familiar to all of us who have read the books. is an interactive little sister of the whole 50 minute long contemporary dance theatre piece, duration approx 35 minutes. In this performance you can sing along, dance, clap, and join in teaching Moomintroll some brand new dance routines. The project Dancing Moominvalley @ Shanghai Expo was featured in the Finnish cultural program at EXPO 2010 and was presented at EXPO 2010 on August 2010. The project also recieved Shanghai EXPO 2010 Culture Award as the only one of the Finnish Pavilion Culture Program! Year 2014 was the 100th anniversary of the birth of Tove Jansson. 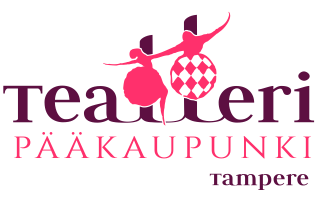 Dance Theatre MD and Dancing Moominvalley celebrated the anniversary both in our home stage Hällä and also on tour across the Finland and abroad!